There’s something wonderful about things that can make it through the trials and tribulations of time without a scratch. It proves that not only are they here to stay, but that they’re a cut above the rest. Take hairstyles, for instance. If you had to pick between a traditional bob and a feathered mullet, which one would you pick? Exactly. There are some classic haircuts that just don’t disappoint, year after year, decade after decade. These styles have been able to make it onto the roster of iconic beauty heavy-hitters that won’t be retiring anytime soon. Whether you want a short cut or prefer longer locks, these classic hairstyles can give you what you need without a second thought—because they’ll never go out of style. Jane Fonda takes the cake for this classic crop style. Plenty of layers add mega-volume, especially if you have some hairspray on hand (as all Southern ladies do). This cut is full of personality, but low maintenance enough to make it a lasting go-to. The shag cut is versatile enough to keep coming back decade after decade. Different lengths, hair texture, and face shapes work with the shag style, and the ultra-layered look, most often with a center part and bangs, frames the face and looks instantly cool. Stevie Nicks is one of our favorite ladies to rock this style for a time. This deviation from the classic bob gives European, mussed effortlessness that makes you the point of interest in any room, solidifying it as a classic cut by any standard. Often accompanied with short bangs, the French bob is mostly about looking unkempt and put-together at the same time. From rambling around the Louvre to attending a swanky party, this cut works for it all. This tousled cut exudes confidence and a little sassiness for the bold woman. The stacked volume gives energy and life to the super short style. This popular cut is newer on the hair scene, but it’s bound to be an ever-lasting classic. The blunt ends, sleek texture, and face-framing shape look amazing and chic. Every time we see this cut, it makes us want to take a trip to the salon ASAP. Full bangs will always withstand time and trends. They’re the easiest way to look charming and stylish no matter your hair type or length, but we can’t get enough of thick or blunt bangs on long hair. You can’t get simpler than this one-length long cut, which is probably why it’s a timeless pick. A center part gives it a little poise and frames the face. If you have naturally straight or thin hair, this cut helps you work with it rather than try to change it. This style is simple, elegant, and fresh all at once. This crop with smooth side-swept bangs and deep side part is amazing for highlighting the cheekbones (and oval faces in particular!). It’s a modern, mature cut that we just love. Ladies are letting their curls go wild, and we can’t get over how bold and fun the natural curl looks. Curly-haired girls haven’t always had the many tools and products we have now to switch things up, so au naturel is the original icon, really. When cutting for a curly 'do, you need to have plenty of layers to make the hair lighter and able to get some good volume. Our go-to keyword when sitting in that salon chair? Layers. There’s a reason they are the universal trick to voluminous, defined, and flattering hair—and that’s because they rarely fail us. We like to think this is just a more modern variation of the "Rachel" cut! Duchess Kate has stolen the title for royal beauty and grace. Her hair has rocked the world, appearance after appearance; and women follow her hair changes closer than we follow our mama’s biscuit recipe. Her hair is going to become classic in its own right. Brigitte Bardot made this cut iconic. Center-parted bangs grab attention and look perfectly glamorous. We love putting some major volume into this style for even more personality. You'll need to stagger more layers down around the face, so that the bangs can blend. 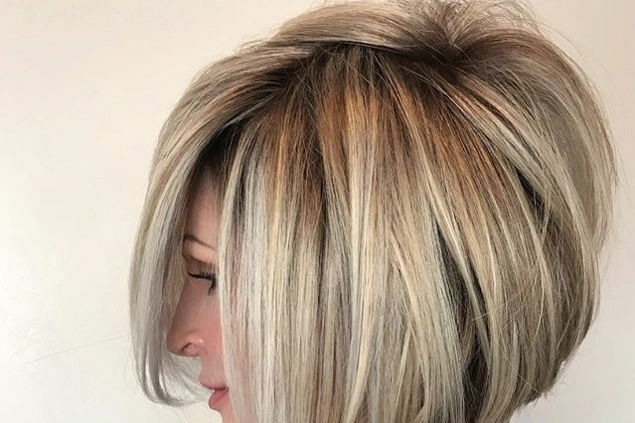 This bob is ever-popular thanks to the way it’s stacked in the back and angled in the front towards the face, making it incredibly flattering on most women. The definition that the angled cut gives works similarly to face-framing layers, but on a shorter cut. Bangs or no bangs—that’s up to you! This cut is more about the woman who is wearing it. She’s laidback, low maintenance, and stylish; so she wants her haircut to be too. 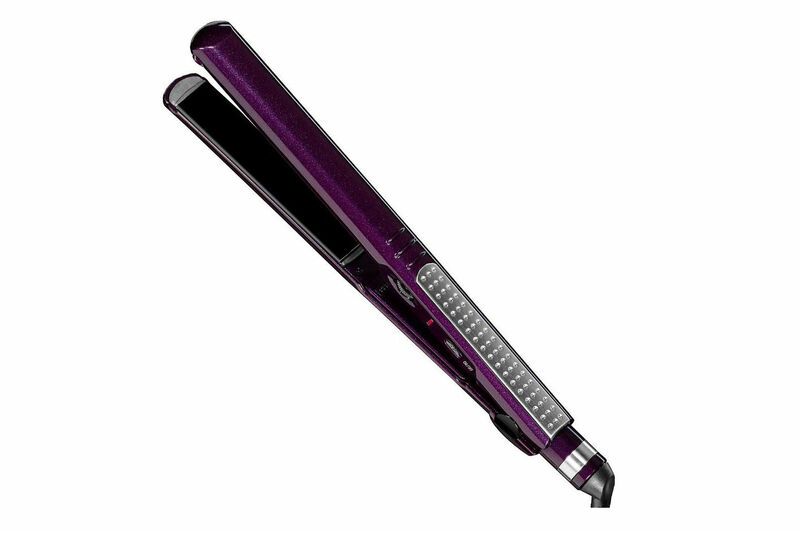 For ultimate waves and body, keeping the cut right below the shoulders is ideal. As usual, throw some layers in!